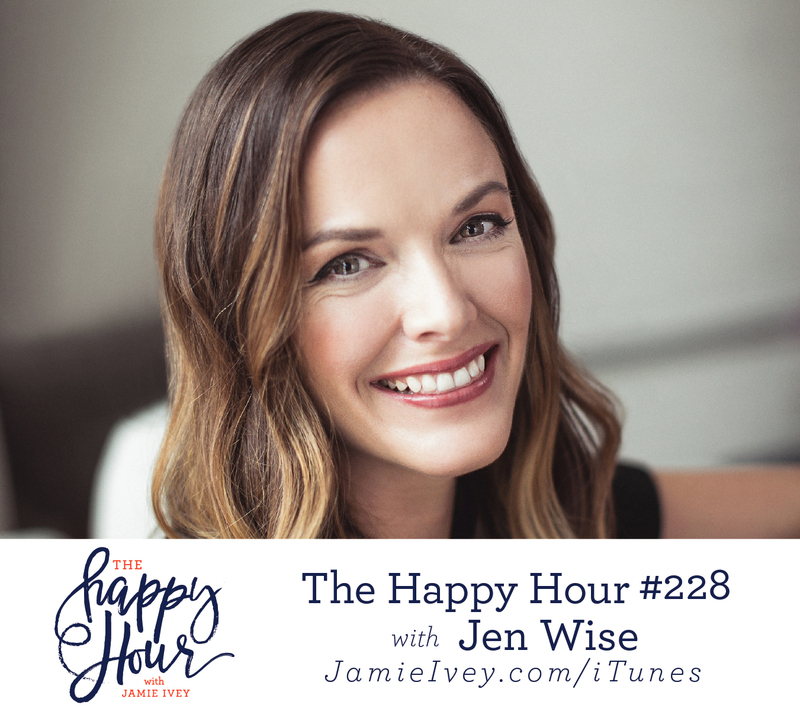 My guest for The Happy Hour # 228 is Jen Wise. Jen holds an MA in Theology from Gordon-Conwell Theological Seminary and serves as a child advocate with Compassion International as a part of their Artist and Speaker Team. Jen is happy to spend most days rotating between friends, family, writing, cooking, her neighborhood yoga studio, and being an active part of her home church. Jen and I start off the show talking about how we're all walking around exhausted! It doesn't have to be this way, and Jen gives us practical tips on how we can lessen the weight we all feel, all the time. I loved hearing her share about how her own process of letting things go, and fully resting in the grace God has provided. We also chat about friendships, and how in different seasons it can be hard to prioritize, but that it's possible to continue to nurture those relationships. In the second half of the show, the topic of control takes center stage, and we also talk about eating right, getting enough sleep, and all those "taking care of yourself" things that we tend to push to the side. Don't worry friends, our conversation isn't about shaming - it's just the opposite. Jen encourages us that loosening our grip, trusting God more, and taking care of ourselves, helps us live the meaningful life God intends.